The cenosphere in this photograph is the black, lacy sphere near the center of the image. 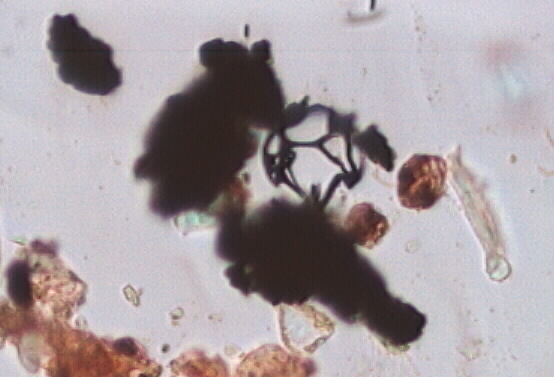 The black cylinders are tire wear particles. Road dusts complete the assemblage.